Do you want a Georgia TAX CREDIT? PLUS a Federal charitable contribution donation? 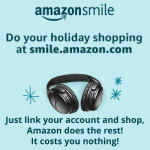 AND a tuition discount of 40% of your approved donation? 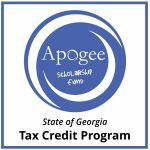 The 2018 Georgia Tax Credit Scholarship Season is open! Last year we received almost $7,000 to award in scholarships. . . we would LOVE to double that amount this year! AS WELL AS a Federal charitable contribution deduction. Also, If you have a student enrolled, you can receive a discount on 2018-2019 tuition of 40% of your approved donation. There are also benefits for C-Corps, Trusts, and those who receive *Pass through Income*. Next Next post: Keyeion went to Costa Rica!